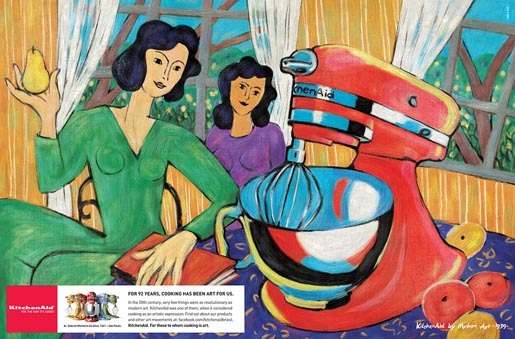 KitchenAid has launched a new print advertising campaign in Brazil inspired by artistic movements, including art deco, surrealism, modernism, art nouveau and pop art. 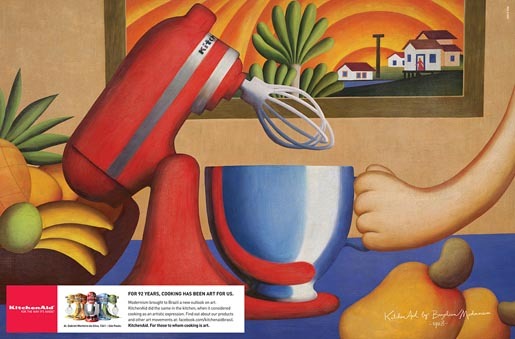 “For 92 years, cooking has been an art to us.” Founded in the U.S. 92 years ago, the brand has become known worldwidely for products with innovative design, made for those who believe that cooking can be a form of artistic expression. 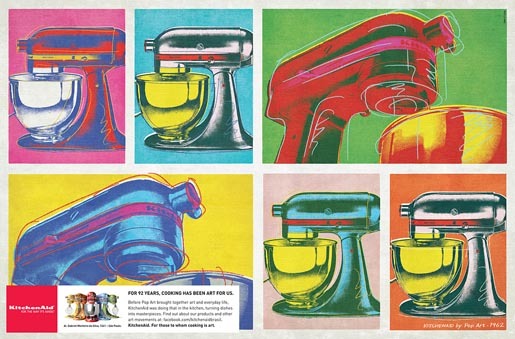 At the heart of the print campaign is KitchenAid’s main icon, the Stand Mixer, featured in the Museum of Modern Art, New York. The print ads portray the campaign’s cooking (and the KitchenAid mixer) in the style of the various art movements that have marked the last nine decades. The campaign is featured on KitchenAid Brasil’s Facebook page. 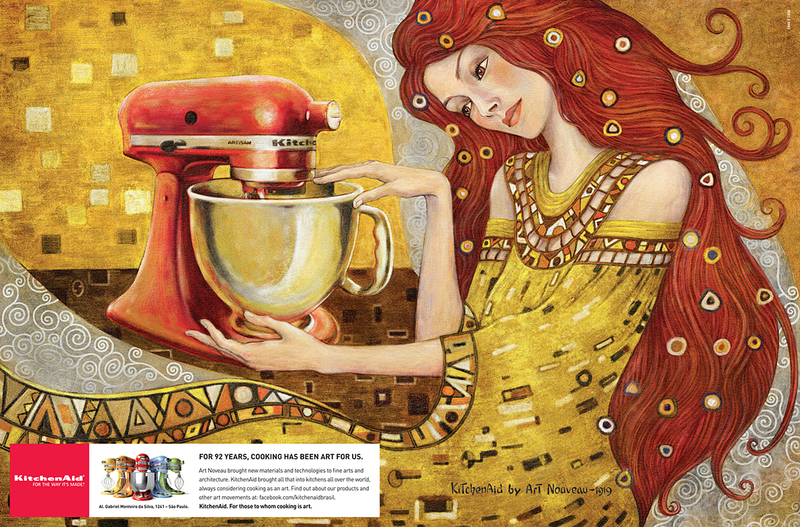 The KitchenAid art campaign was developed at DDB Brasil, Sao Paulo, by creative directors Sergio Valente, Marco Versolato, Cássio Zanatta, Rodrigo Almeida, art directors/copywriters Ulisses Razaboni and Marcos Abrucio, art director Evelyn Cassoli (Art Nouveau), art buyers Clariana Costa and Alessandra Nunes, graphic producers Edson Harada and Nereu Marinho, account supervisor Polika Teixeira, Cristiane Pereira Heal, Sandra Lessa, Mariana Constantino and Luca Adler Bamberg, planners Cynthia Horowicz, Paulo Vita and Camila Martinez Lima, media team Monica de Carvalho, Patrícia Muratori, Ana Carolina Espósito, Aline Brazolotto, Marcelo Estevam, working with Whirlpool marketing managers Pethra Ferraz and Nathany Bergamasco. Illustration was done at 6B Estúdio. 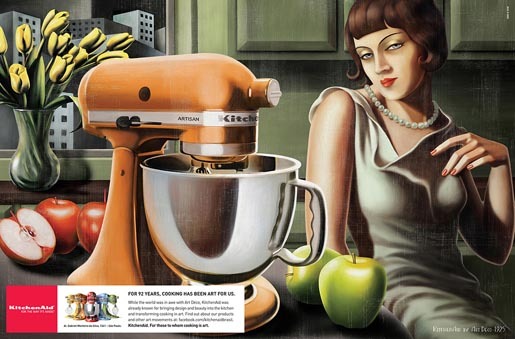 Photolithography was by Burti. 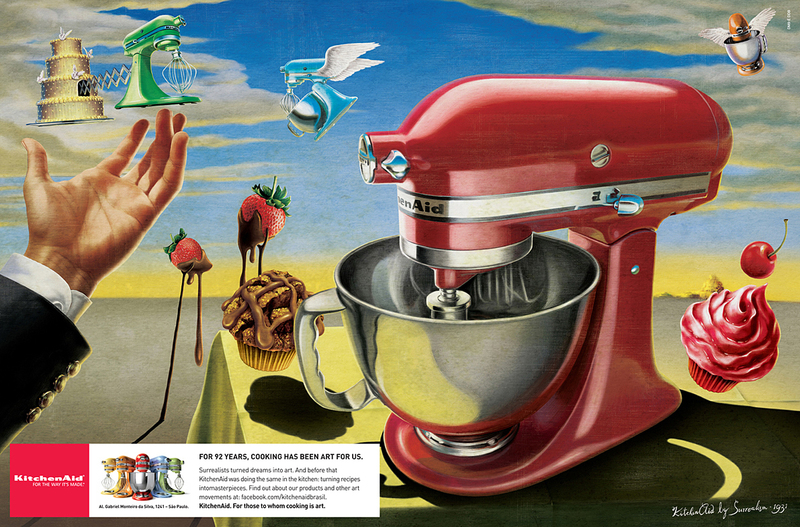 Image processing: 24 \ 7 id.